Look it over carefully. 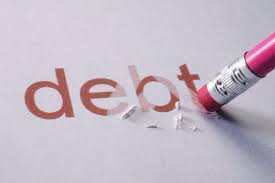 You will see all the debts discharged and that you are now no longer legally obligated to pay. c) state how and why you wish it to be corrected. It can take up to 45 days for a response. Apply for credit and see who denies you or offers higher interest. Keep proof of the denials. They can be used in a Fair Credit Reporting Act complaint. If your credit report has still not fixed, you have the right to file a lawsuit against the credit reporting agencies and the credit issuer for the erroneous information contained on your credit reports. Cossitt Law can provide assistance in resolving incorrect and erroneous information on your credit report. Contact us at (406) 752-5616 to schedule a consultation.